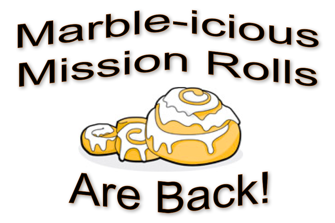 Get the coffee, tea and milk ready, because Marble’s Mission Rolls are back by popular demand! All proceeds will benefit our church missions! Pre-order your delicious sweet rolls by Sunday, April 16th for pick up on Sunday, April 23rd. To order online, please scroll down and fill out the order form below. To get the correct final cost, please start by entering your total number of orders on the 1st screen then click "Next" to select your flavors.